Bring the outdoors indoors. 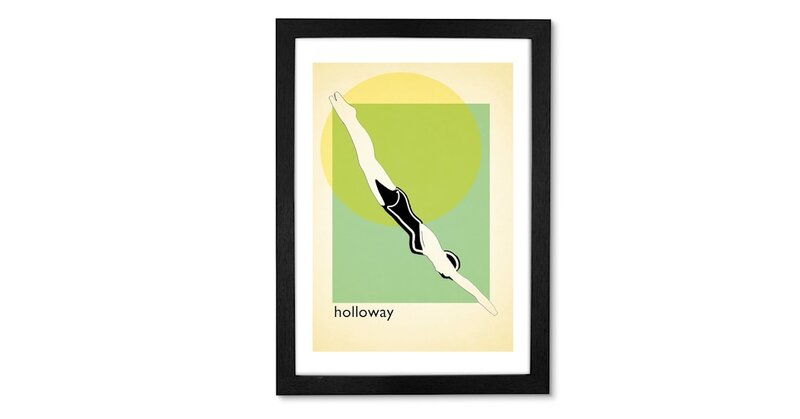 With the Holloway Lido print, memories of sunny days don’t need to be far. This framed wall art will refresh your living room with ease. Green and yellow brighten any room. So, the colour scheme of this print make it the ideal addition to any space needing an uplift.